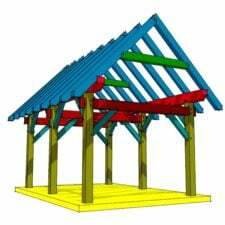 This timber frame structure was originally designed as a pool pavilion, but its versatile shape makes it perfect for many other buildings on your property. Use this basic framing to create the living, storage or entertainment structures that will be the envy of the neighborhood. 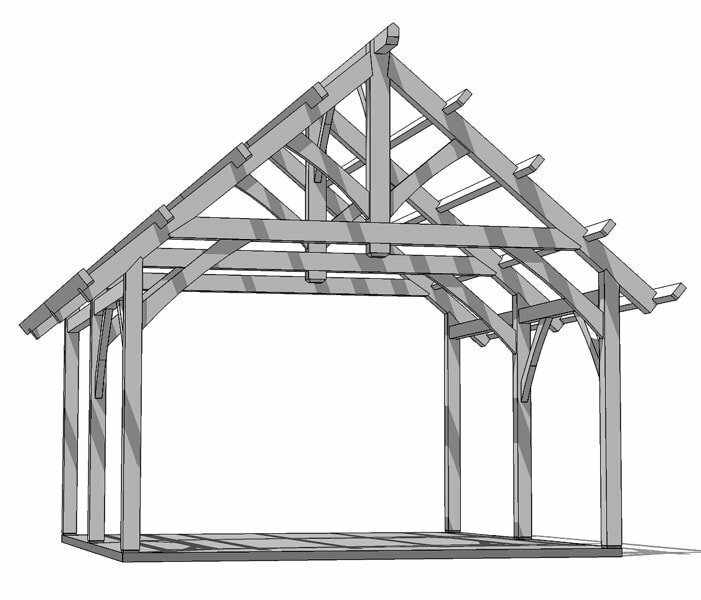 As an open pavilion, this framing plan is spacious for an entertainment gazebo or pergola over a deck or patio. 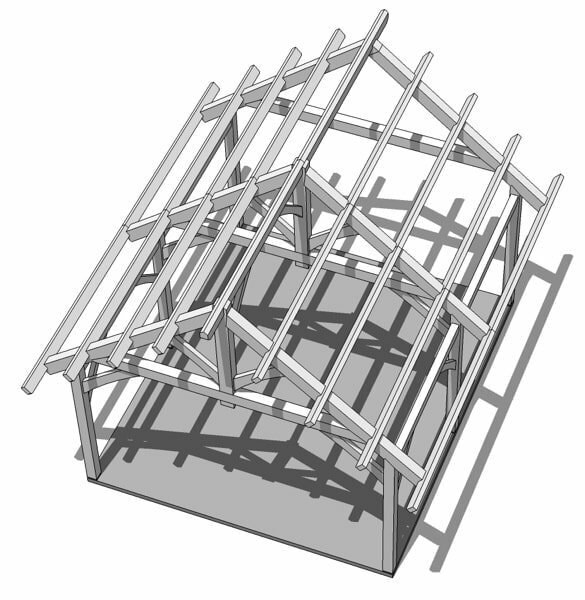 The trusses can be left exposed to let in the great outdoors, or you can finish it with the roofing of your choice. 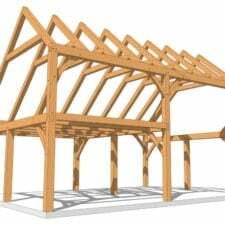 Using exterior quality wood and weather resistant sealing products will make this open-air structure a durable, long lasting outdoor room for entertaining or relaxing. 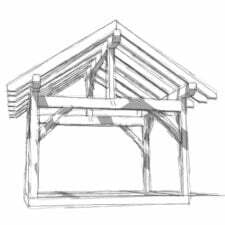 Built on a concrete pad or on footers, this design makes a great little workshop or guesthouse that you can easily enclose for a snug, weatherproof multi-purpose building. 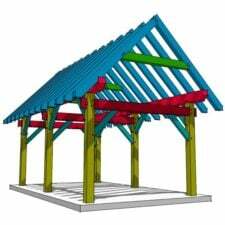 It can easily be adapted as a garage with the addition of a large swing-out or overhead door, or you can add windows and standard doors to create a roomy getaway in the woods or lakefront. 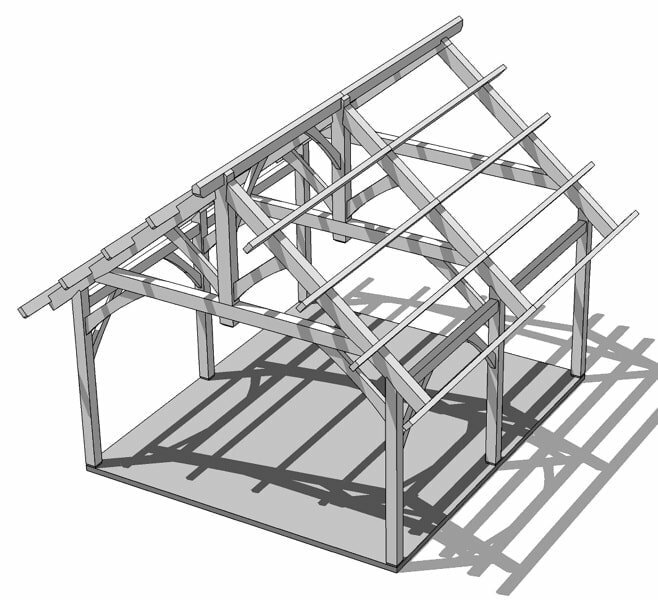 This timber frame plan package includes both dimensioned blueprints and detail drawings. 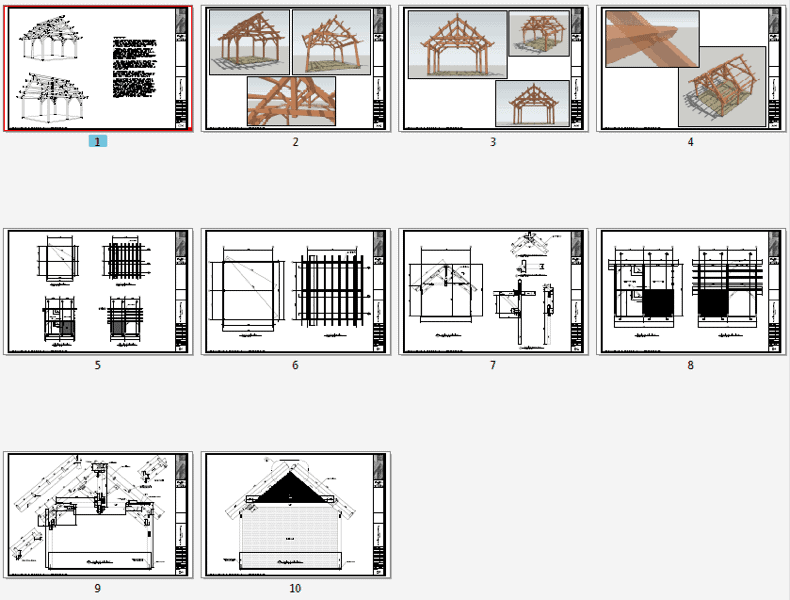 It also has a materials list to purchase and cut the members you’ll need to complete your framing structure and tips on suggested assemblies. 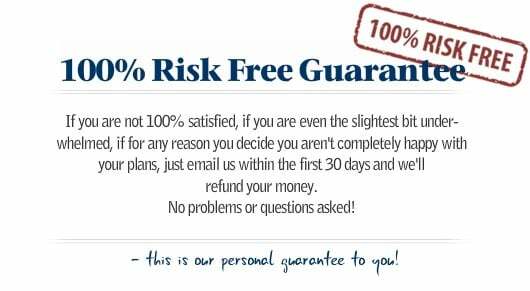 This package is a do-it-yourselfer’s dream and a great project for the entire family.